What are the Indigenous Business Awards? Show outstanding achievements through exemplary contributions to the Aboriginal community in Manitoba. Represent genuine commitment to the betterment of the Aboriginal community through demonstrated leadership and mentorship. 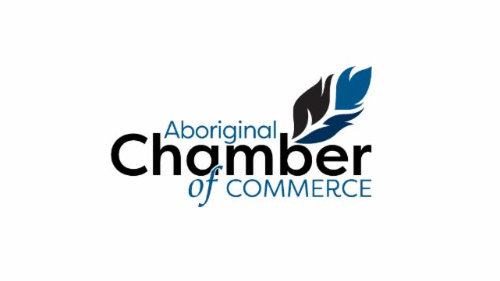 Neither the nominee nor the nominator may be a member of the ACC Board, Staff or Indigenous Business Awards Committee. Please retain a copy of the nomination form and materials for your record. Nomination packages must be received by the deadline of October 31st 2016. Nominations are accepting through hard copy only. The Indigenous Business Awards recognize businesses in one of four categories. Please review the categories descriptions to decide which best suits the strengths of the nominee. The Youth Business Award recognizes a business that is currently in operation. The owner/operator of the business must be under the age of 35 year and the sole owner of the business and operating a minimum of two years. Must show proven contributions to the Aboriginal Community through the support of social or business programs either through financial, mentorship or leadership. The activities should also describe what and how the contribution can be measured through financial or capacity building outcomes. Written nominations must be on 8.5” x 11” paper, double spaced, 12 point font, single-sided, no staples please. Essay should be written in third person format. Please provide specific examples of achievements and contributions that demonstrate how the nominee has impacted the community. Describe how the nominee has made an important contribution to his/her career field. What has the candidate done that has been acknowledged or has made an impact at a community level? How does this relate to his/her nomination for a Business Award? Please describe any achievements, recognition, and awards received by the nominee. - Include on a separate sheet a reference list of two individuals within the community who may testify how nominee has affected them and their community. - Include up to 2 letters of support from the community, not exceeding one page per letter. Letters of support must be signed by the letter writer and clearly describe contributions. Nominees must sign the nomination form endorsing their support. Include a half page company profile. Videos or Portfolios will not be accepted or returned if sent in error. The IMA’s Committee will review and identify three finalists per category. Award recipients will be announced at Gala Awards night on November 16th, 2016. Decision will be made solely on information provided in the Nomination Package. The Selection Committee reserves the right to withhold an award in any category. In the event of an unexpected number of nominations, the committee reserves the right to limit candidates in any award category. Nominators will be contacted within 3 weeks of the submission deadline date to confirm if the nominator has been identified as a finalist. One finalist per category will be announced as the winner at the Gala Awards night: November 16, 2016, RBC Convention Centre.